The arrival of a new baby is nothing if not a happy event. The birth of a child is a moment that the parents have been awaiting for so long. No matter how long the preparation period before the newborn’s arrival is, it’s always worth it. When that little life comes into the world, everyone’s heart is filled with sweet emotions. People instinctively want to smile at the baby or to make funny faces to see the reaction. Babies in general are capable of melting even the coldest heart. Welcome the infant by sending flowers to congratulate the new mom and dad. This can add a little bit more to the already happy atmosphere around the baby. 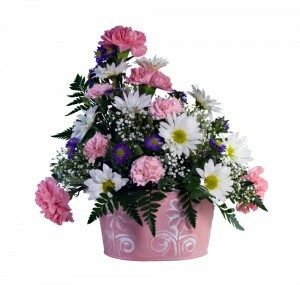 Flower Shops specializes in anything related to creating flower arrangements and their delivery. We can manipulate flowers in such a way so that they can look magnificent. Our florists are always looking for new ideas. If you have something in mind that you want us to recreate, they’ll be more than pleased to assist you. Our flower bouquets intended for congratulating the family on a new baby vary from bright and colourful to subtle and pastel. We’ll deliver the flowers you ordered to the hospital or to the parent’s home at the given hour with the friendliest attitude towards the mom and dad. The mood of our flower delivery staff corresponds to the occasion they bring flowers for. Sent to the new mother and father, our flowers can bring a little sunshine in the hospital room while the mom is recovering. And we guarantee that our flower bouquets will last for such a long time that when the she regains her strength and is ready to go home, they’ll still look good, and she can take them home to fully fulfill their purpose – to beautify a space. Seeing a room with flowers will definitely raise the mother’s spirit, and, in some way, help her feel better both mentally and physically. It’s not a secret that blue is the colour for boys while pink is the one for girls. But Beautiful New Baby Flowerswhen you send flowers to congratulate a family on the arrival of a newborn, you don’t have to follow any rules. 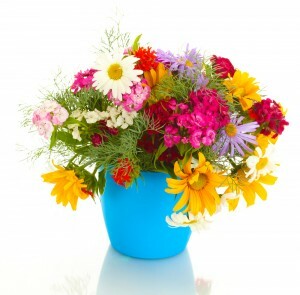 Choose whatever colours you like or ask our office staff for advice on what flowers to send an infant’s family. Some people aren’t familiar with our flower delivery services, so we’ll be glad to assist you in every possible way and to guide you through the whole procedure. It wouldn’t be easy for the mom during the first days after giving birth. She might feel exhausted, so why not cheer her up a little by sending wonderfully chosen and arranged flowers. That’s how she’ll feel support from family and friends, and she’ll be able to recover faster. Knowing that you have people to count on is significant. The grandmother and grandfather can also get your attention by receiving flowers from you to congratulate them on their new grandchild. Flower Shops offers various vases and baskets for your flower arrangements to make them look different and more out of the ordinary, if that’s what you want. Our regular flower bouquets are equally stunning. Balloons with a variety of messages printed on them are also appropriate for celebrating the birth of a new baby. We have gift boxes for a newborn which are filled with all kinds of essentials for the baby that could be of help to the parents. Infants are such pure beings who deserve to see only the beauty of life. Show it to them, starting with our flower bouquets. The right way to do it is to call our company on ‎020 3900 2440 now.